I want to assure you that NABJ's board members and I have discussed the very concerns that you have raised about our negotiations with UNITY: Journalists of Color since we released a statement on Tuesday. I want to take a moment to address some of them as well as the message released Tuesday by UNITY. UNITY’s president told the board of directors that memo was written two weeks ago, and that it is not a response to our message. Yet, it contains outdated information about an NABJ proposal that was tabled in 2010. NABJ's board has worked tirelessly on a compromise in 2011 and submitted another proposal that would give all alliance partners a higher percentage of the convention proceeds, and the Native American Journalists Association would be given an extra appropriation. Keep in mind, this is a fluid situation. UNITY's president came to my home in Jackson last week to discuss our concerns, proposals, and UNITY's future. The meeting was productive. However, change can be a tough pill to swallow. As journalists, we feel and see the growing pains of change everyday. 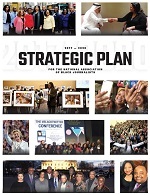 Let's not forget last year's NABJ convention theme - NABJ@35: The POWER of Change. Positive change often leads to a greater return on our investment (ROI). That's the goal of your NABJ leadership every day. That's what we expect from UNITY. Although a lot has already been addressed by others, I want to touch on a few points that I believe are important for you to know. First, I believe that we are faced with a fundamental difference of opinion about UNITY’s purpose and identity. The following sentences in the UNITY message should be cause for concern among all alliance members. "The current state of the economy, however, is not, and cannot be a rationale to undermine the concepts that have forged UNITY into the largest organization of journalists in the world. UNITY is an alliance without chapters or individual memberships. Without NAJA, NABJ, AAJA, and NAHJ, there is no UNITY. Has UNITY been elevated to the status of a "parent” organization? That view is completely inconsistent with NABJ’s perspective. The ideal that UNITY’s mission is far more important than any individual organization does not square with reality. Why Now? It’s Your Money. All of the alliance partners should expect a substantial ROI on the nearly $1 million that the 2008 convention netted for UNITY. UNITY pays its executive director a six-figure salary whether she is planning a convention or not. As a result of our inquiries into UNITY's finances, NABJ learned UNITY has or had approximately $200,000 in restricted funds that must be used for advocacy during a time when diversity has taken constant hits. This is proof that UNITY can and has raised funds beyond the quadrennial convention, and there's room for adjustments in the convention revenue formula that will not decimate UNITY or any alliance partner. UNITY does not engage in any substantial programming beyond the convention. When NABJ helped form UNITY, it did not do so with the need for a "parenting” organization. Our founders did not envision deferring NABJ’s mission to that of others. As much as we all enjoy the excitement of collaborating around a UNITY convention, the other side of the coin is that when the convention is over, NABJ is quickly back engaged in an enormous regimen of executing and sustaining comprehensive programs and services that benefit our members and the industry as a whole. Convention planning can be assumed by professional planners and a part-time executive director on a semi-part-time or modified basis. UNITY’s assertion that it takes 16 months to two years to convene a convention is inconsistent with industry norms. In fact, we all convene our own individual conventions with less pre-planning. In justifying the large sums to UNITY, it is suggested that UNITY has a right to all on-site and all non-designated registrations. That would be equivalent to saying that your meeting planner or staff is entitled to your registrations because those folks did not come because of you. These disingenuous statements cloud the real issues. The reality is that some alliance partners want more UNITY conventions as they face economic hardships. Our membership survey indicated NABJ members do not want a UNITY convention more frequently. Each organization must challenge itself to rise above its existing fiscal obstacles. UNITY’s message also stated NABJ is seeking a UNITY convention chair. Actually, the immediate past president already appointed an NABJ member (who is also a UNITY board member) as UNITY convention chair. She has planned four NABJ conventions. She is more than qualified to assist the UNITY executive director and board with the responsibilities. Is this an indication UNITY's president has officially rescinded that appointment? I’d like to reiterate that NABJ’s board has not taken a vote on its future in UNITY, Inc. or the UNITY convention. We know many of our sponsors and partners enjoy the benefits of traveling to one convention every four years. While it is economical and efficient to meet all groups under one common venue, these same partners and sponsors do not subscribe to a belief that minority journalists of color must do something different than majority organizations in order to receive their support. 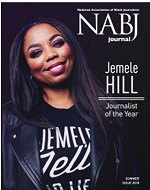 NABJ's sponsors are committed to NABJ and the programs it continues to offer. So where do we go from here? As your president, I will continue to work with the UNITY leadership to settle our differences and look out for your best interest. The contents of this email are intended only for the members of NABJ and should not be published, posted, or reproduced without the written consent of the NABJ president.